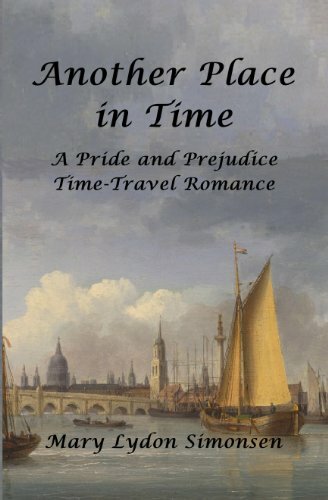 In the time-travel romance, Another Place in Time, Fitzwilliam Darcy learns of the existence of Elizabeth Bennet from Hannah and Jacob Caswell, time travelers from the twenty-first century. 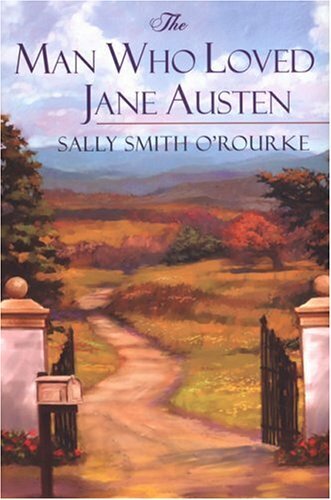 When Darcy’s offer of marriage is rejected at Hunsford Parsonage, the Caswells advise Darcy to visit the future and seek the assistance of an expert on Jane Austen and the Regency Era. When Darcy arrives in Baltimore in 2012, he finds Christine O’Malley serving on a panel at a Jane Austen conference. Although his arrival is a crowd pleaser, Chris is upset that an “actor,” impersonating Mr. Darcy, has stolen the show. After a rocky start, Chris agrees to go with Darcy to the past to help him sort out the mess with Elizabeth. While plans are being made for Darcy to capture the heart and hand of Elizabeth Bennet, Chris, who has experienced her own heartache, finds she is falling for Darcy’s cousin, Colonel Fitzwilliam. With her sensibilities firmly rooted in the future, will Chris be able to find happiness with a man who occupies another place in time? Aftering discovering a letter to Jane Austen from Fitzwilliam Darcy--a supposedly fictional character--in the back of her antique vanity's mirror, New York artist Eliza Knight, deciding to research this mystery from the past, searches for the only man who knows the truth. Original.